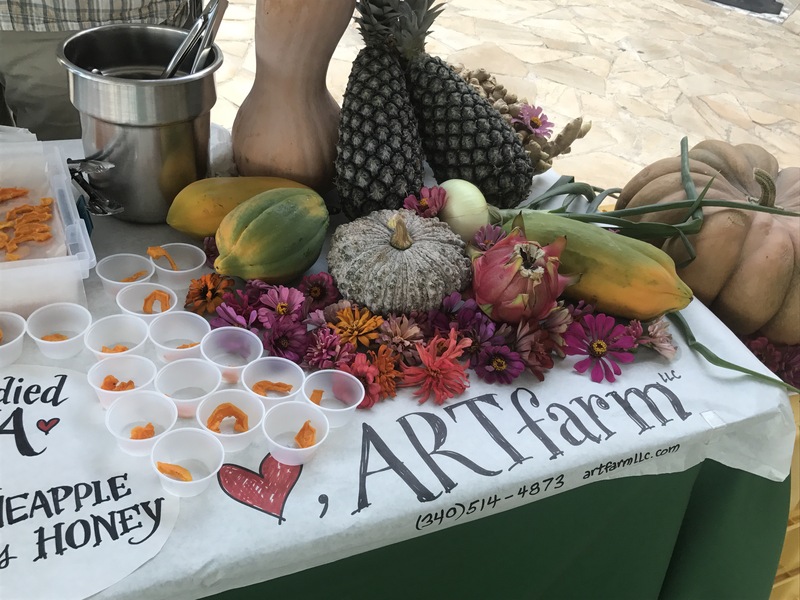 We decorated our table with a sampling of the currently available bounty. Sometimes the attorney becomes a judge! 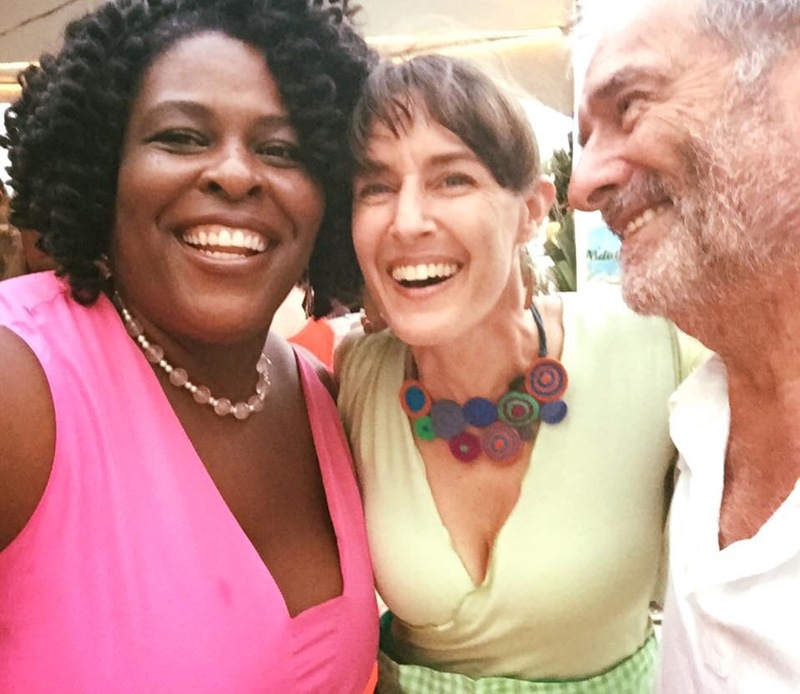 2017 Taste Judge “The Crucian Contessa” (left) and her husband Peter with ARTfarmer Christina! 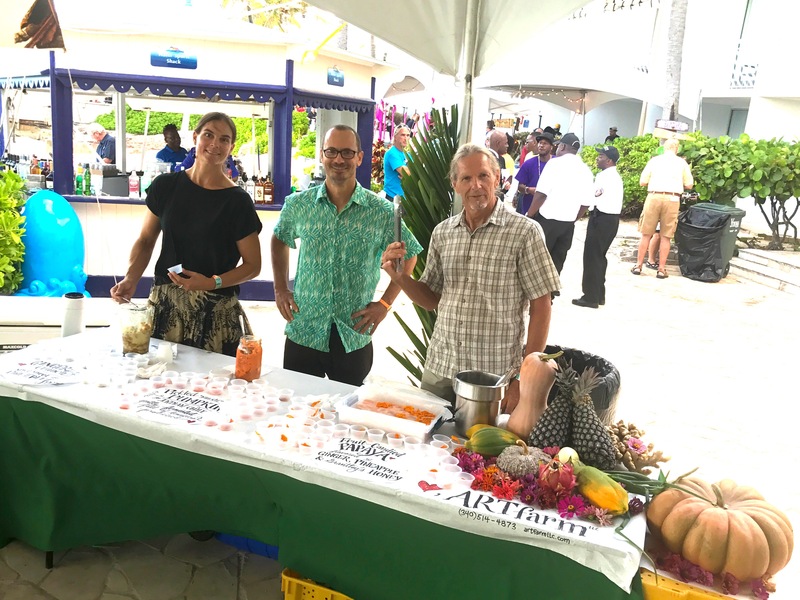 Rachel, Luca and Roi rocking ARTfarm-to-table st the 2017 Taste of St. Croix! 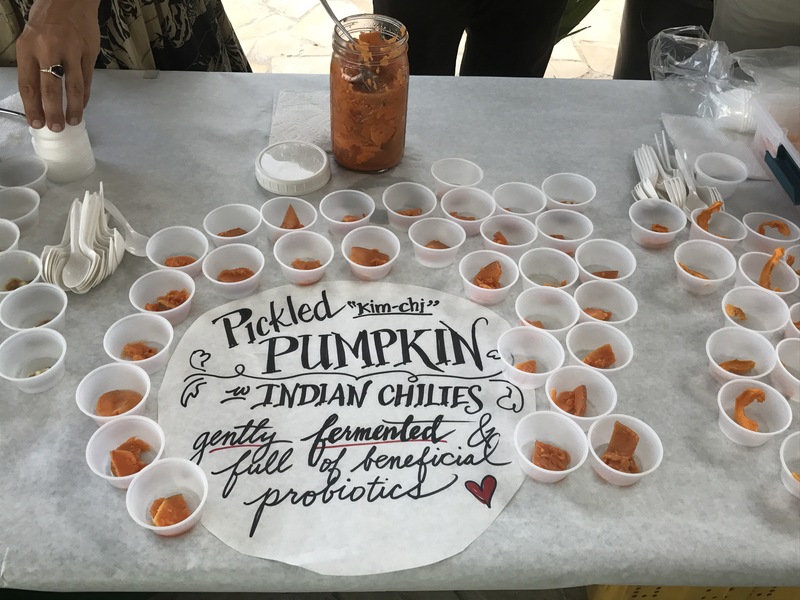 Once again we participated in the Taste of St. Croix annual food festival! A few pictures of our crew and table… Saturday’s haul: Sweet salad mix, teen arugula, teen spicy salad mix, all of our various tomatoes, sweet and hot peppers, beautiful French pumpkin, beets, onions, baby radishes, cooking greens, sweet potatoes, loads of papaya, a lot of pineapples, zinnia flowers, ginger, turmeric, cilantro, parsley, dill, garlic chives, Italian basil, lemongrass, recao, and Fiddlewood Farm’s goat cheese! See you at 10am!